Indie rockers Mt. 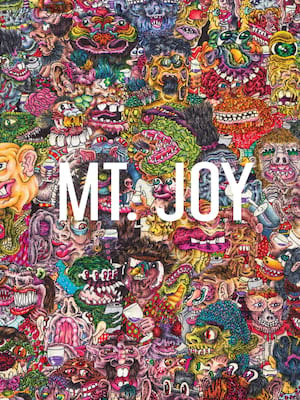 Joy hit the road this spring as they present their debut self-titled album! Released in 2019, Mt. Joy saw the five-piece go from a relatively unknown alt-rock group to late night TV staples and racking up millions of Spotify plays. Highschool buddies Matt Quinn and Sam Cooper reunited in 2016 and released single "Astrovan". The single's rapid rise of success drew the attention of Michael Byrnes, Sotiris Eliopoulos and Jackie Miclau to the group. Now a strong five-piece Mt. Joy hit the festival circuit before releasing their debut album in 2018. 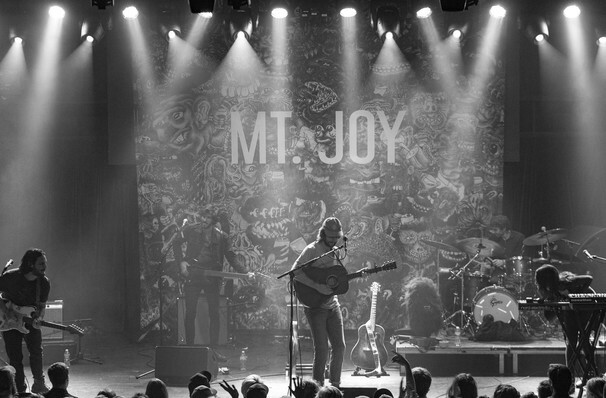 As one of the US' most exciting new Indie bands, don't miss your chance to see Mt. Joy live! Please note that some venues are age restricted, please check with the venue before purchasing tickets. About Milwaukee Theatre: We are an independent show guide not a venue or show. We sell primary, discount and resale tickets and prices may be above or below face value. Seen Mt. Joy? Loved it? Hated it? Help your fellow Milwaukee Theatre visitors by leaving the first review! Sound good to you? Share this page on social media and let your friends know about Mt. Joy at Turner Hall Ballroom. Please note: The term Turner Hall Ballroom and/or Mt. Joy as well as all associated graphics, logos, and/or other trademarks, tradenames or copyrights are the property of the Turner Hall Ballroom and/or Mt. Joy and are used herein for factual descriptive purposes only. We are in no way associated with or authorized by the Turner Hall Ballroom and/or Mt. Joy and neither that entity nor any of its affiliates have licensed or endorsed us to sell tickets, goods and or services in conjunction with their events.